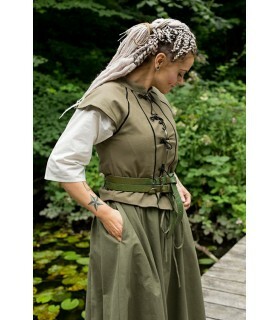 Sleeveless medieval woman vest with round neck, combined in two colors and with laces in front and behind that allow to adjust the suit. 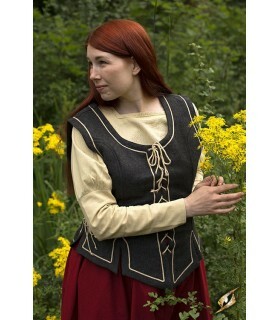 Women's vest in black medieval color, sleeveless with laces in front and behind that allow adjusting the suit. 100% cotton. (Only includes the vest without skirt). 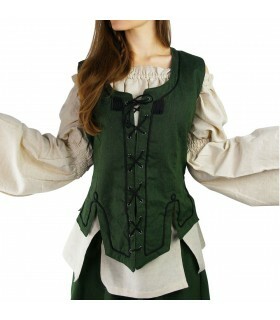 Medieval woman green vest, sleeveless with laces in front and behind that allow adjusting the suit. 100% cotton. (Only includes the vest without skirt).